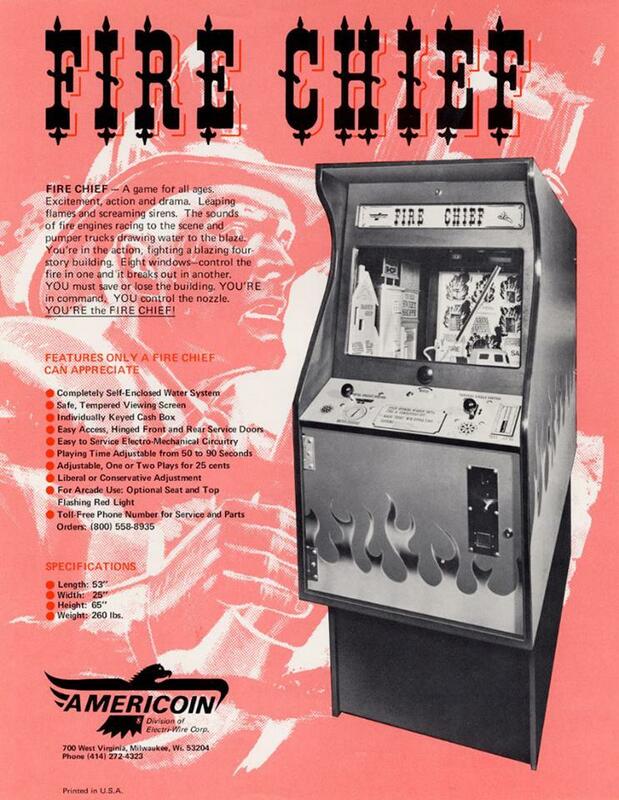 Description: Fire Chief, Americoin, 1976. 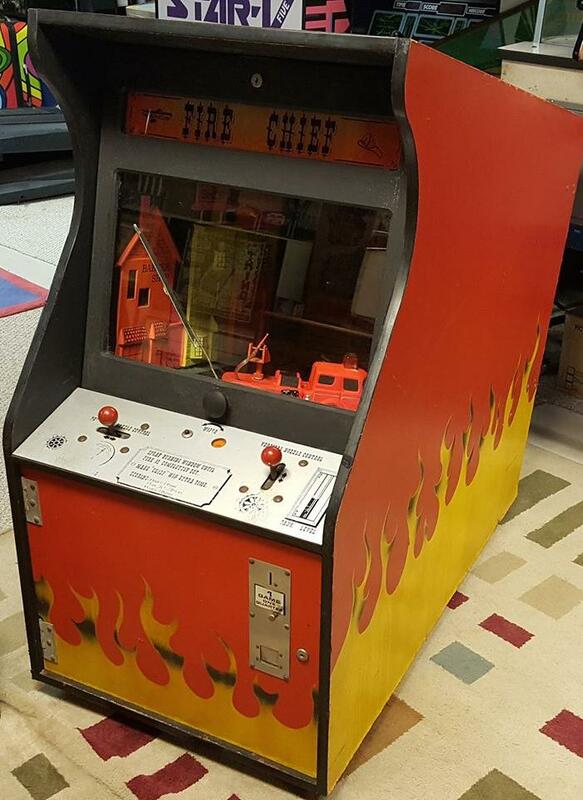 Basically a gun game that uses real water propelled by a user controlled fire truck. 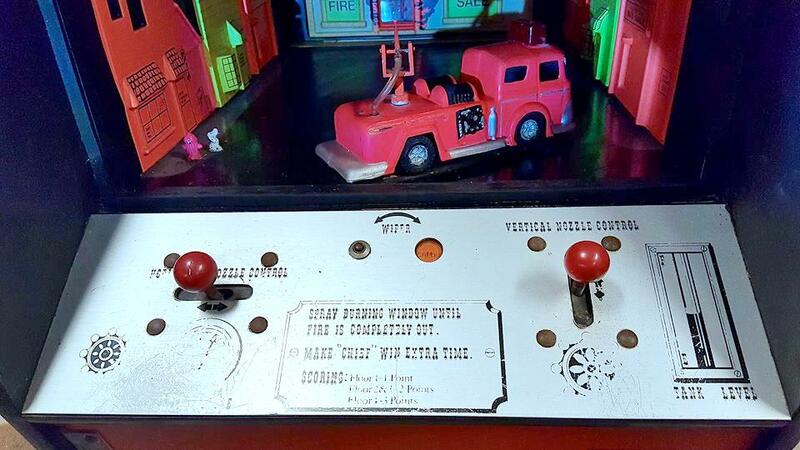 Timed game (operator selectable 50 to 90 seconds), 8 track player for background sound. 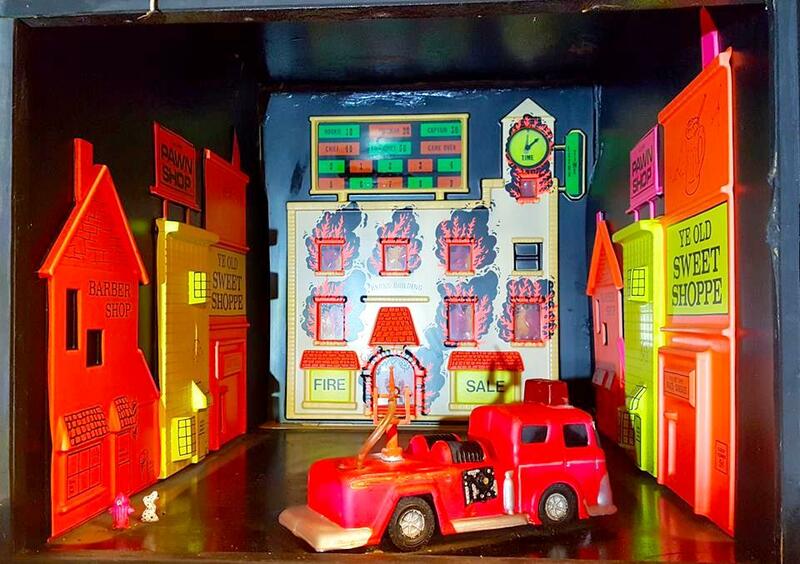 Fight the fires in 8 different windows with fluorescent water, and as soon as the fire is scored in one windows, game moves the fire to another. 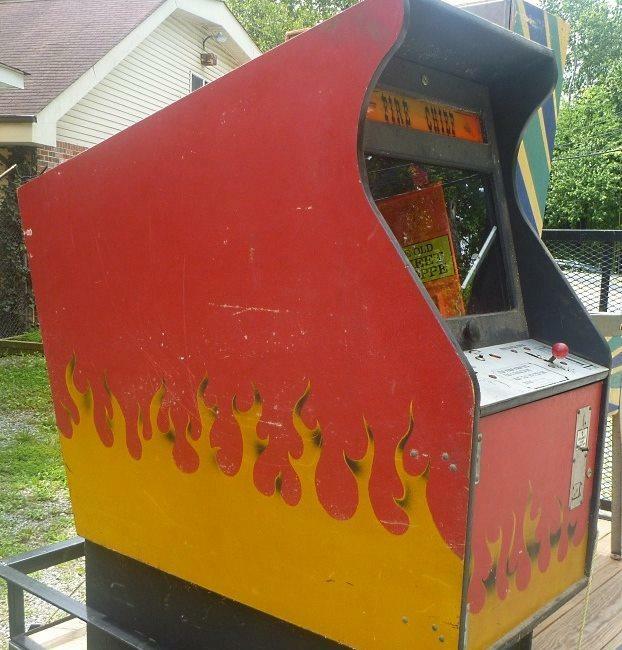 Optional pedestal was available.